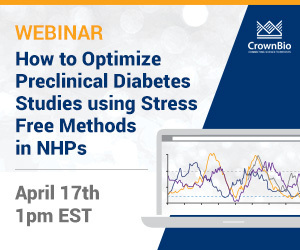 In this webinar, Dr. Andrew Puca explores unique techniques for optimizing preclinical diabetes research in spontaneously diabetic NHPs. He’ll focus on stress free assessments of glucose measurement and response in NHPs using continuous glucose monitoring and the banana tolerance test. 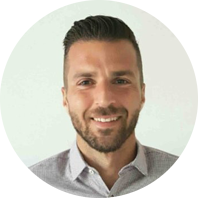 Andrew Puca, PhD, Senior Business Development Director at CrownBio, has extensive experience in preclinical drug development, partnering with clients to bring maximum translatability to their metabolic disease programs. Since joining CrownBio in 2016, Andrew’s scientific focus has been on translational animal models within cardiovascular and metabolic disease indications, such as obesity, type 2 diabetes, NAFLD/NASH, dysmetabolism, and diabetic nephropathy. Andrew received his Ph.D. in Cellular and Molecular Biology from Università degli Studi di Siena, and completed his postdoctoral research at Temple University, specializing in stem cell biology and regenerative medicine. Prior to joining CrownBio, Andrew specialized in bioanalytical assay development for various drug modalities and disease indications within non-GLP/GLP studies through clinical phase trials at AIT Bioscience, and leveraged a comprehensive portfolio of reagents, bioassays, lead optimization, and antibody drug discovery services at GenScript. He has over 10 years of translational research experience, and has authored 15 publications.